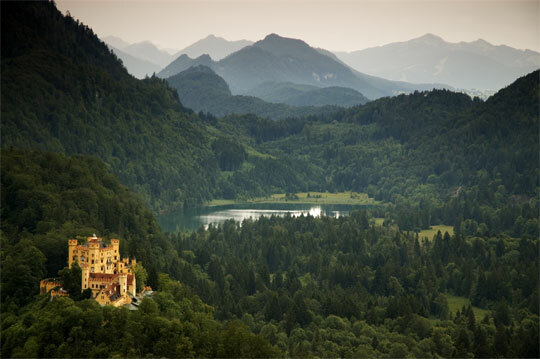 First things first, lets go ahead and open a photo, I took this one while on a photography trip through Europe of the Hohenschwangau castle in Germany. It had been raining all day and as the sun set, the showers subsided for about half an hour… just enough time to get a few great photos. 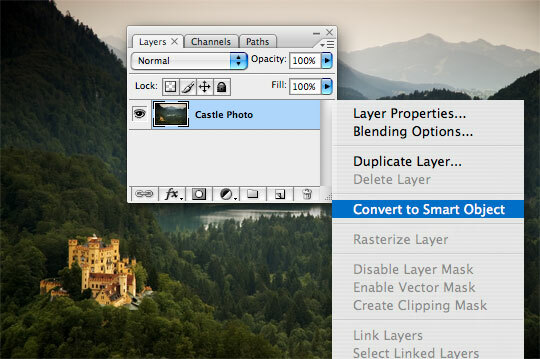 Now lets start by converting the photo to a smart object by Right-Clicking (Mac: Control-Click) on the layer in the layers palette and choose Convert To Smart Object. You can see by the Smart Object icon now showing in the thumbnail area of the Layers palette that this layer is indeed a Smart Object and by double-clicking on the smart object icon you can edit the object from within the file. 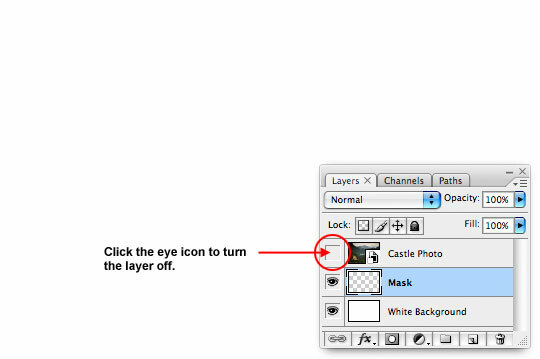 Now lets place a layer below the current layer by holding down the Command (PC: Ctrl) key while clicking the new layer button at the bottom of the Layers palette. Press D to reset the foreground/background colors to black/white, then fill the layer with white by pressing Command-Delete (PC: Ctrl-Backspace). You won’t see any change in the image because the layer is behind the photo layer, but notice that the thumbnail in the layers palette has now been filled with white. 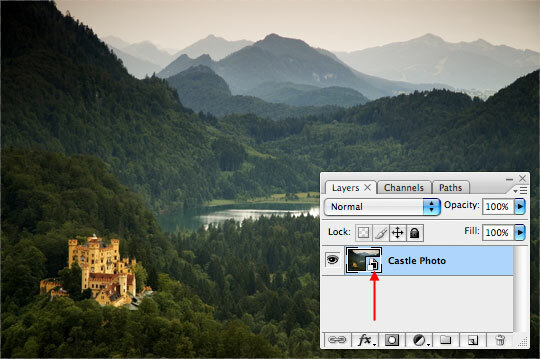 Create a new layer between the White Background and the Photo layers by clicking the new layer button at the bottom of the Layers palette. 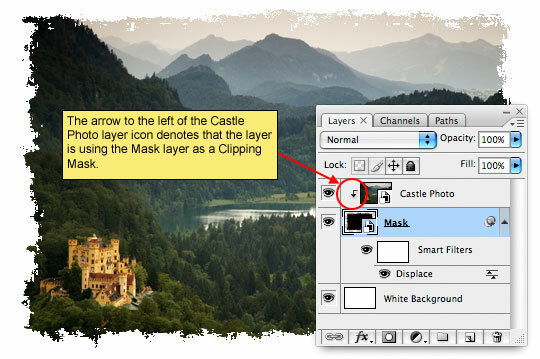 Double click the layer name in the layers palette and rename it Mask. 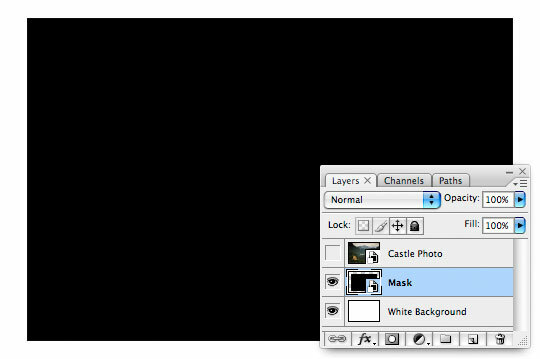 Lets click the little Eye icon next to our photo layer in the layers palette to turn off the layer so we can see what we’re doing on the Mask layer. Now that we can see what we’re doing, lets press Command-A (PC: Ctrl-A) to Select All, then choose Select>Transform Selection from the main menu. This will give the standard transform handles placed at the corners and sides of the selection. 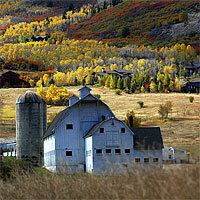 Drag the corners in until your desired crop is achieved. When your selection is sized, press Return (PC: Enter) to commit the transformation and return the selection to it’s dancing dotted line form. Now simply press Option-Delete (PC: Alt-Backspace) to fill the selection with Black, and Command-D (PC: Ctrl-D) to deselect. Now, just like we did in Step 2, convert the layer to a smart object by Control-Clicking (PC: Right-Click) and choose Convert To Smart Object. The layer thumbnail in the layers palette will now also have the smart object icon. 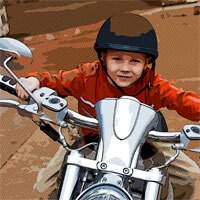 Now that the layer is a Smart Object, we can go ahead and apply a Smart Filter to it. The advantage of using Smart Filters over just applying all these steps to the image without creating Smart Objects is the ability we have to return and edit the object at a later time with ease. 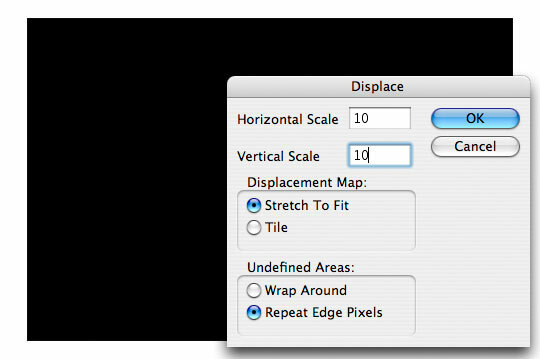 From the main menu, choose Filter>Distort>Displace to bring up the Displace filter menu. For this example lets leave the settings at the default values shown below and click OK to move to the next step. Now we need to navigate to a file which we will use as the Displacement Map. Luckily, Photoshop has a nice selection to choose from built right in. 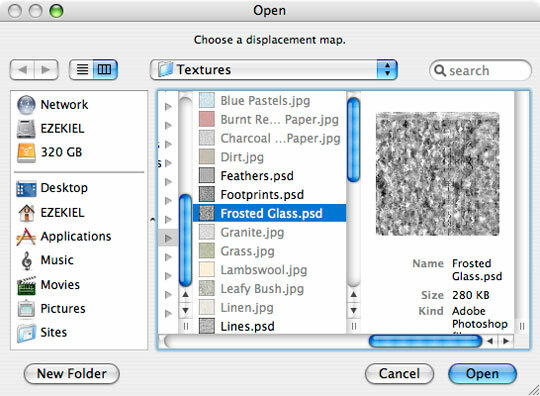 Navigate to your Photoshop CS3 application folder, then to Presets>Textures and find the file called Frosted Glass.psd. Choose this file and click Open. 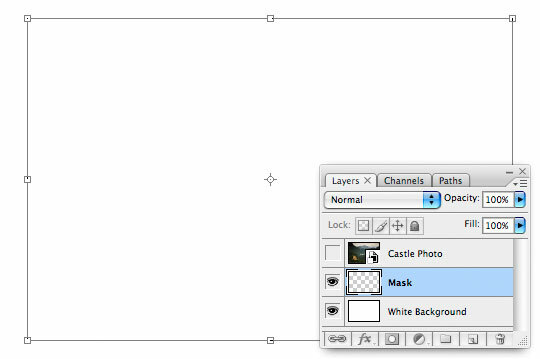 Lets go ahead and turn our photo layer back on by clicking in the empty box next to it’s thumbnail in the Layers palette (remember we turned it off the same way back in step 6). 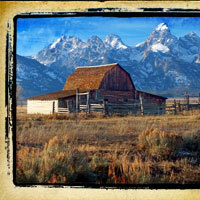 Now right click on the Photo layer and choose Create Clipping Mask. This will link the Photo layer and the Mask layer together, showing only the parts of the Photo layer which overlap the Mask layer. We’ve created a great little effect here, but the neatest part is that by clicking on any of the features (ie. the Displace Smart Filter or the Photograph) we can change both on the fly and apply them to the file easily OR we can swap out the photo altogether. 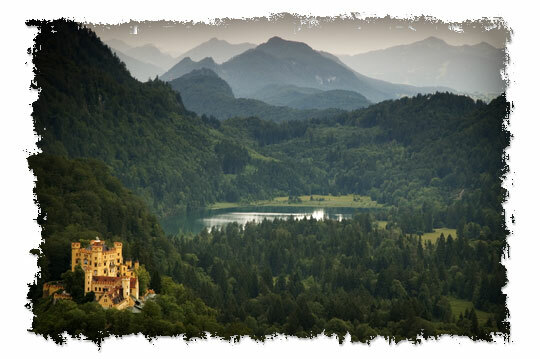 Try Double-Clicking on the Displace smart filter and choosing a different Displacement Map, or Control-Click (PC: Right-Click) on the Photo layer and choose Replace Content, which will allow you to browse for another photo to replace the current photo with. you better bet your mouse finger i will be using this technique. Could have been. I learned the technique from a wedding photographer friend of mine and thought it was too good not to share. This is going to be a technique I will use for so many things!! Thanks for this! Thanks for this simple but great tutorial. 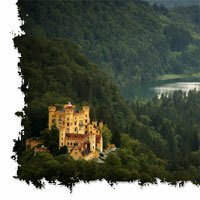 I am falling in love with this site! 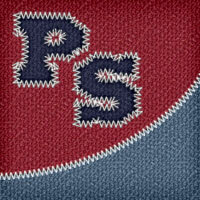 very very good,clearly steps, to ps newer,this great,thank you very much. This is what I have been looking for. 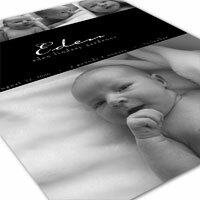 Could you use a set of images in a photo gallery with the border around it so that it seems that only the photos are changing and not the border? I would be glad to receive any advice or suggestions. I’m sure you could do that given that all the images were either horizontal or vertical. If you ignore the IE6 users you could use CSS to place a .png file of just the photo edge effect with a transparent center on a higher z-index than your image. That’d probably be cool. I have fallen in love with this technique. My only problem is when I go to apply the Displace filter, I get a pop up that says I have to rasterize the selection first. Is this because I’m still using CS2? KALYNN, It’s possible that it’s a CS2 thing, but I can’t be sure. I don’t remember every getting that dialog before. If you rasterize the selection does it work ok? yep, works fine when I rasterize it. I just can’t go back and edit it easily. I just save the file as a .psd with all the layers and then I can edit and change it. I’m probably doing it the hard way, but I’m still very new to Photoshop, so I haven’t figured out all the shortcuts yet. Awesome, it is just the effect I was looking for! Keep on, your tutorials are by far… the most clear and awesome I’ve ever seen. Best Photoshop tutorial I have ever seen. LUV IT! It works! It’s made to be simple so it seems to be simple! 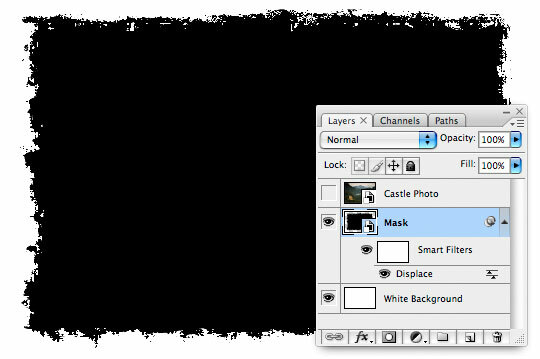 I’m not telling the MASTER ANYTHING but I found you can blur the mask to get nice soft edges. This is a sweet technique; thanks for sharing with us all! nicee, but where should I get the frosted glass psd?? Should I download it?? EVELYN, The Frosted Glass .psd file comes with Photoshop. All you need to do is navigate to it on your hard drive as per my instructions. If you’re using a version of PS other than CS3 which the tutorial was written in, this file may have moved or be called something different. The folks at Adobe tend to do this upon version switches. Thanks, Hero, for your generosity in sharing these techniques with us. I’m not able to get up and around so much these days, but I’m able to keep my creative side active by doing some design work for my business by making ads and rock show posters. 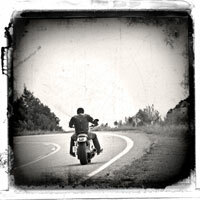 We have 20 or so shows a month, so I’m able to learn a lot more about how to use Photoshop (CS3) now. Your tutorials are fantastic, and although I’d hate to be deprived of having your work at hand, I, too think you might benefit from writing a book. I’m a writer, let me know if I can help. Thanks for the this. I am using CS5 (Students Edition) and cannot find the textures folder. Any Hints? I also have a problem in CS5 where the Distort (and most filters) are disabled with both smart objects and just regular layers. Had to convert a new document and copy the image over. Must be some kind of image mode/format issue coming in from LightRoom? Got the filters menu to work, turns out if it’s set to a 16-bit image, you can’t use all the filters.